Famous Footwear’s national back-to-school ads debut this week featuring a time-slice filming technique new to the mid-tier shoe-retailer category. Developed by agency Campbell Mithun as part of the Make Today Famous campaign, the fast-paced ads capture teens in mid-air situations – garage-band jam, BMX tricks, break dancing, cheerleader jump splits -- with the most famous brands of shoes on their feet. The ads aim to catch texters mid-action as well, with two of the campaign’s seven TV spots featuring a text-in offer for an additional 20 percent off the buy-one-get-one-half-off back-to-school sale. Consumers can also opt-in via text to receive future Famous Footwear offers. Campbell Mithun filmed the nine scenes of the back-to-school spots in three days, partnering with director Nez and a film crew that used a 20-camera rig and a Canon 5D camera for the shots. The flight of fast-paced Back-to-School ads includes general brand spots (:30, :15), text-for-coupon spots (:30, :15) and three buy-one-get-one-half-off spots (:30, two :15s). “Everything – the choice of technique, cast and wardrobe – came together to create a spot that hopefully conveys the same inspiration consumers will get from the styles and brands they'll find at Famous Footwear,” said Robert Clifton, executive creative director at Campbell Mithun. The national campaign runs on television for seven weeks and includes companion radio and print executions. Other production partners include: editor, JD Smyth / Final Cut; visual effects, The Mill; and original soundtrack, Nylon. Spark is the media agency. Watch videos, see pictures and find out more by clicking here. This now 29-year old PR/Social Media/Twitter rock star is quite frankly the most remarkable brand case study to come out of social media. Can it be that social media has afforded us limitless opportunities comparable to Evans’ if we only work hard at engagement? 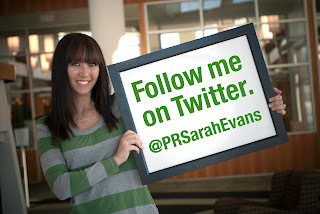 PR Sarah Evans has done what we all aspire to do using social networks: branding ourselves as a reliable resource. Implicit in this aim is a focus on trust as well as availability. So much trust that you’re exchanging tweets and e-mails with social/PR celebs Gary Vaynerchuk and Peter Shankman. So much availability that when an earthquake hits Chicago at 4 a.m., you take to Twitter and your tweet catches the eye of New York Times reporter Jen Preston – resulting in opportunity after opportunity. What advice do you have for building a brand online? With more than 43,773 tweets per minute, developing your brand so that it stands out online is a challenge. Envision a goal, and know what you want to accomplish – whether it’s building a business, establishing yourself as an expert, connecting with peers or meeting bloggers or journalists. Map out your execution and make sure you have the time to dedicate to this project, along with an exit plan. You’ll need to take the time to (1) monitor your brand on a regular basis, (2) manage updates and establish routine/habits to your social media accounts by reading, responding and sharing, (3) find ways to publicize your brand and (4) monitor your results. What are the biggest misconceptions of social networking or as critics would like to say “social not-working”? Creating a Facebook page or a Twitter account is not a business strategy. Social media tools can support an overall plan and objective, but they shouldn’t stand on their own. Moreover, don’t start a Facebook page or a Twitter account and panic when people start posting on your wall or tweeting with you. Social media is SOCIAL, it’s about sharing information and creating meaningful relationships. Social media is not about advertising your brand by pumping out “key messaging.” Instead, have fun and interact with those around you -- treating your peers like human beings, not dollar signs. Tell me more about the earthquake that resulted in some earth shattering new business opportunities. I’ve met many milestone achievements using social media. One milestone made earlier this year started with a 4 a.m. earthquake that hit Chicago. A strange occurrence, rather than go back to sleep, I picked up my phone and tweeted about it. Others in the area began responding and sharing information. CNN iReport picked up on the chatter, followed by a phone call from Jen Preston at the New York Times at 5:04 a.m. Ten minutes later, the article went live on the front page of the NY Times website. An hour after that, my cell phone rang AGAIN, and this time it was CNN iReport associate producer Katie Hawkins-Gear, directing people to my iReport article, which was later mentioned on the front page of CNN.com, resulting in 6,240+ views. This led to five new (and viable) business inquiries in four hours. What are your biggest pet peeves when people share content online? What social networks, besides Twitter, are great channels for branding oneself? With every day that passes, social media evolves and new tools emerge. Besides Twitter, other useful branding tools include Facebook fan pages, LinkedIn groups, tribes, blogs – the possibilities really are endless. 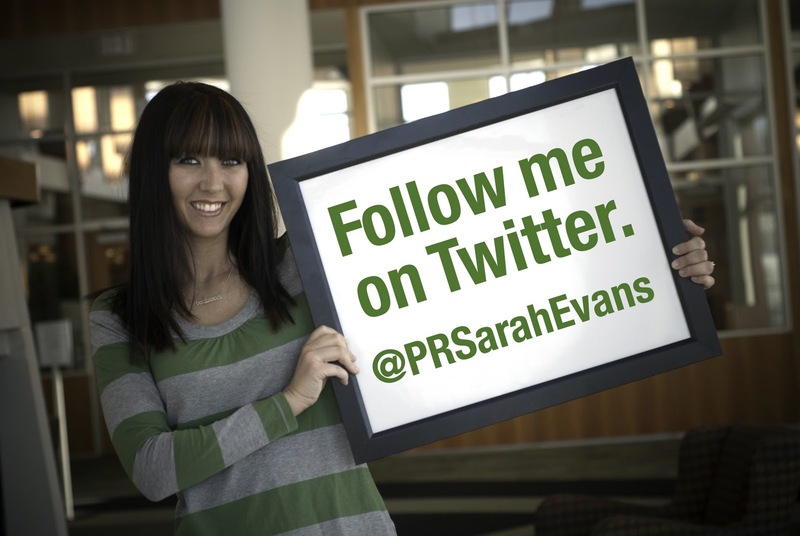 Indeed, the possibilities do seem endless for PR Sarah Evans. And who knows—if we follow suit, we may garner our own successes in social media. Tim Otis is Supervisor of Social Media/PR for Gabriel deGrood Bendt (GdB). Apart from his work at GdB, he enjoys reading @prsarahevans' tweets and bringing his own ideas and content to the Twitter table. Fast Horse has added two new client relationship managers to serve its expanding roster of business. Before joining Fast Horse, Trevor Arnold created award-winning campaigns at Strategic America, Iowa ’s largest integrated marketing agency, for clients including Lennox Industries and Kum & Go convenience stores. Arnold is a graduate of Drake University. Cydney Wuerffel joins Fast Horse from Risdall Marketing Group, where she specialized in engaging consumers through social media. A graduate of the University of Minnesota , Wuerffel was a member of the school’s nationally ranked student advertising competition team. A lot as it turns out. As employment longevity expands (polite way of saying ‘aging workforce’), we are confronted with managing a multi-generational workforce. Studies indicate that each generation brings a new set of values and attitudes to the workplace. These values and attitudes can either collide or complement one another, and that interaction will impact our bottom line. In this open forum, Sara Gavin will facilitate a thought-provoking discussion about the challenges to leading in a multi-generational workforce. What can we learn from each other? How do stereotypes impact our relationships with different generations? How do we reward and recognize our employees? How can we lead in such a way that our work style differences do not impact morale? How do we manage generational differences with our clients? Part of the discussion will also focus on internships. What are our responsibilities/obligations to this new generation of PR practitioners? What are best practices? An assortment of refreshments will be provided. Sara leads several of the agency’s largest accounts in the areas of positioning, brand and reputation management, crisis communications, grassroots and advocacy building, media relations, and social media. She is the executive leader for public relations for the U.S. Army recruiting communications agency, McCann Worldgroup. Public relations programming includes grassroots community campaigns, social media, strategic media relations and Army education initiatives. In addition, Sara is a member of the 2010 Census Senior Advisory Council for the Integrated Communications Campaign. In her 25 years with the company, Sara has represented Northwest Airlines, CIGNA, CIBA Vision, Novartis, Medtronic, The Coca-Cola Company, Boston Scientific, Hazelden Foundation, The Minnesota Department of Health and the U.S. Department of the Treasury. Sara’s office was named one of the Star Tribune’s Top Workplaces, and her office has made the Minneapolis/St. Paul Business Journal’s Best Places to Work list for five straight years. She is the mother of four children – teen to young adult. Free parking will be available in the ramp connected to the building. The Minnesota Pubic Relations Society of America Roundtables (formerly Fresh Thinking Fridays) are another opportunity to advance the professional by providing seasoned members a platform for discussing timely trends and issues facing the public relations profession. These breakfast sessions promote dialogue and discussion about topics most relevant to senior professionals. 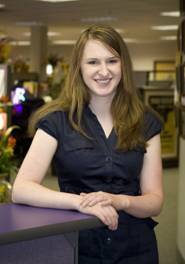 Meet Bridget Aymar a University of Minnesota graduate. Bridget won a PRSA Student Classics Award for her work with Operation Black Book for the Uptown Art Fair. In 2008, in the early stages of my professional career, I was lucky enough to land an internship with Uptown Association, the producers of the Uptown Art Fair. I dove right into the nitty gritty of event planning, by managing and executing the youth component of the art fair. I was responsible for Tomorrow’s Stars Seen Today, a youth art fair for artists ages 8-18. I also took the lead on a new event, Operation Black Book, which involved educating youth on how to create art in a graffiti style, legally. I won a PRSA Student Classics award for my work with the event. When the summer came to a close, I got hired as a copy editor at the Minnesota Daily. I edited news content for grammar, spelling and AP style, I wrote headlines, and I laid out news pages. Although getting paid to read was just about the best job I could have asked for, I decided to spend my last summer as a student serving pizza and beer at Old Chicago in Uptown. After I graduated, I returned to Uptown Association for a short period of time to manage social media, write content for the website, and execute various events include the Uptown Art Fair jury process. 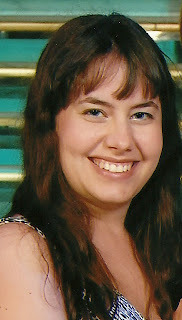 I currently work as a freelance writer/editor at Horizontal Integration, a consulting and staffing firm in Minnetonka. I also continue to serve pizza and beer while I look for the right full-time position. I was most proud of managing and executing the Uptown Art Fair jury process. Because the fair is a fine arts festival, each artist who applies must submit photos of their work and an artist statement which is judged by a team of art professors, museum curators and professional artists. Although more than 1,000 artists apply to the fair, only around 350 are selected to show their work. I independently managed the event from beginning to end. I selected jurors, collaborated with the jury venue, studied up on the technology needed for the anonymous voting process and even set up the equipment used to project each artist’s images on a six-foot high screen. After three days of jurying, Uptown Association had selected the artists who were to show their work at the 2010 Uptown Art Fair. I was most proud of this accomplishment because the artists are the most important component of the fair, and I made a large contribution to selecting those artists. My classes and professors prepared me for the high expectations that I would have to meet in the professional world. I learned how to conduct market research, how to write everything from a basic news release to a feature story, the implications media law could have on my work and so much more. At the University of Minnesta, I produced videos for a real-life client, conducted public relations research, learned basic graphic design, and produced advertisements, speeches, scripts, and so much more. Beyond the tools I would need in a public relations career, I also learned how to land a job by attending resume and interviewing workshops, conducting informational interviews and maintaining a professional portfolio. My job search has involved a lot of hard work. It’s true that they say finding a job is a full-time job in itself. I spend a lot of time staying in touch with those in my professional network, scanning online posts and keeping my resume up to date. Since I graduated, I have been freelancing, and performing the occasional task for Uptown Association. So far, I am still looking for that perfect position. As long as I can write, be creative, and work with others who like to do the same, I’ll be happy. I would love to work somewhere that values original ideas and isn’t afraid to consider the unconventional. I am a very committed person, so I would love to work somewhere where I can channel my enthusiasm into results. Although I’m still young, I plan to grow substantially throughout my career and meet new challenges. Never overlook an opportunity to learn. Although the job search can seem tedious, discouraging and thankless, you can always learn from a given situation. Also, sometimes it’s about being in the right place at the right time. Almost every job I have ever landed, whether it was at Horizontal Integration or at Old Chicago, I got it because I knew the right person. So conduct informational interviews, talk to family and friends, keep in touch with professors and attend networking events  PRSA holds several events throughout the year. Also, talk about your job search to others. You never know when you’ll meet someone in a position to offer you an opportunity. If networking seems difficult, just remember, every professional was once in the same position you are now, and most are happy to impart their wisdom to help a student. If you are interested in being featured as an up-and-comer please e-mail me at ryan@ryanmay.com. Are you ready to feel the heat of a social media crisis? Badly behaving employees on YouTube videos. Broken guitars. Swine flu. Oil spills. The list of organizations impacted by crises that start or spread via social media is growing weekly. How should a company prepare itself for these situations? The same way you prepare for a fire: with a live drill. Weber Shandwick has developed FireBell, a software application that simulates the experience of social media engagement in multiple social media platforms, including Facebook, YouTube, blogs and Twitter. FireBell enables users to mock tweet, post, view and respond to conversations using functional and fictional replicas of a company's -- and its critics' -- social media properties. During this mock crisis drill we will put you through an abbreviated but highly realistic version of the full FireBell drill we create for clients, and you will have the opportunity to feel the heat firsthand. national digital practice group, senior vice president David Krejci directs a 20+ person team of social media strategists, designers/programmers for the Minneapolis office, servicing clients such as Microsoft, U.S. Census, U.S. Army, American College of Surgeons, the Internal Revenue Service, Honeywell and General Motors. David combines more than 11 years of "traditional" public relations experience with an expert knowledge of social media and Web development to integrate strategic digital components into communications campaigns. Last month, at the 2nd European Summit on Measurement (organized by AMEC and the Institute for Public Relations) delegates adopted a set of standards and practices to guide the measurement and evaluation of public relations activities. The Barcelona Declaration of Research Principles may be a drastic shift in the way some agencies measure PR efforts, taking into account overall business strategy, social media, and a big one ... debunking ad value equivalents (AVE) as a value of public relations. Goal setting and measurement are fundamental aspects of any PR program. Media measurement requires quantity and quality - cuttings in themselves are not enough. Advertising Value Equivalents (AVE) do not measure the value of PR and do not inform future activity. Social media can and should be measured. Measuring outcomes is preferred to measuring media results. Business results can and should be measured where possible. These standards have been discussed and set forth by thought-leaders in this industry, across the globe. It's important that we, as PR professionals, understand and support these principles to demonstrate not only a willingness to adhere to an industry standard of measurement, but to advance the discipline of PR, proving the ROI of the strategies and tactics that employ. Agreeing to these standards means making fundamental changes in practices. No more clipbooks. Press clippings and AVE's do not measure PR. This discussion has been going on for a long time, and if you're still using clipbooks to measure the value of your campaigns, you're probably not alone. You've heard terminology like, "The thud factor," "HITS," and "Eyeballs." I know some PR professionals are still relying on these metrics like a child clings to a special blanket. It's time to take this one seriously, folks. We know that this is not an accurate measurement of our work. Probably one of the biggest excuses I hear for this one is, "But, clients have come to expect this. That's what they want us to show." Really, now? Do you let your client write your press releases and dictate strategy, too? No. That's our job. We need to be the educators, here. It's like trying to measure a gallon of water with a yardstick. It just doesn't work. Continuing to force a metric that doesn't tell us anything about performance or future activity could very well be a nail in the coffin for the industry. Use social media. And, measure it. Because you can. Yup. 'Tis true. And, here's another reason we need to throw out the entire thought process behind AVE, number of placements, and impressions. The beauty of the web is that anything you put out there can be monitored and measured. But, you need to take the time to figure out what you are trying to accomplish, and what it is that will prove you did it. Pretty Facebook page with lots of "Likes" isn't good enough. ROI folks. ROI. Integrate your strategy, your goals, and your metrics for success. Almost daily, it seems I find myself having some sort of conversation about breaking down silos in the communications process. It's exhausting, but, I continue to have these conversations because I know that the success of any strategic communications effort depends on integration. PR is a function of business, right? In order to measure the success of a campaign, we need to look at goals and objectives for the overall business. The most effective PR strategies and metrics for success will consider these. We've heard discussions over the past few years threatening the "Death of the PR industry." At the end of the day, doing business (or, staying in business) revolves around staying out of the red. Using metrics that prove the value of PR in terms that are relevant to business, quite possibly could be the saving grace. LaBreche announced today the expansion of its public relations team with the addition of account assistant Hyedi Cribben and intern Whitney Johnson. Account assistant Hyedi Cribben joins LaBreche after working as an intern in the media and public relations department at the American Academy of Neurology, and also in the communications department at Minnesota Public Radio. She was recently awarded her Master of Arts degree from the Health Journalism and Communication graduate program at the University of Minnesota, Twin Cities. Cribben’s client roster includes Bioenergy, MicroCare Medical, Meritas, Victaulic and 3M. Intern Whitney Johnson previously worked as a marketing consultant at the Minnesota Daily and as an intern at StoryTeller Media and Communications. She recently earned her Bachelor of Arts degree in professional strategic communication with an emphasis in public relations and a minor in design from the University of Minnesota, Twin Cities. Johnson’s client list includes law firm Faegre & Benson, the Wood Products Council, Victaulic, 3M and Ascent HealthCare Solutions. McFarland Cahill Communications (MCC), a local boutique public relations firm, recently added the 2010 Uptown Art Fair to its list of clients. MCC will be handling the public relations effort for the Uptown Art Fair, a nationally recognized art fair. It is the second most-attended event in Minnesota and hosts more than 360 professional artists showcasing art of all kinds including sculpture, paintings, jewelry, mixed media, ceramics and more. The Uptown Art Fair is in its 47th year and will be held August 6 - 8. For more information, visit www.uptownartfair.com. McFarland Cahill Communications also promotes a number of major events in the metro area including Taste of Minnesota, the ASID Showcase Home Tour, Mpls.St.Paul Magazine’s Taste event, and the Home & Garden Show. We live in a world fueled by technology that was unimaginable just a generation ago. (Though I am still a little disappointed that we don’t have flying cars of many of the helpful time-saving tools from The Jetsons just yet.) We have the ability to be more connected to others all over the world. There is the opportunity to learn from different cultures, different regions, and from others with unique ideas. However, there is a very real danger in the fact that so many tools exist that allow us to insulate ourselves with technology. We can create custom pages via tools like MyYahoo, iGoogle, or netvibes that provide the news we want to see, from the sources we like. We can surround ourselves with our like-minded friends and post what feels comfortable or reassuring on our Facebook pages, knowing that our friends will generally be positive and supportive. I’m not much of a political guy but you can choose the “news” you want to watch that fits in line with your political beliefs. It is entirely possible to now build a world that is only as you want it. And if any piece of it dares push you in a way that challenges your thinking or makes it uncomfortable, just unsubscribe from the RSS feed, change the channel, or unfriend someone. To the many communicators, media professionals, and marketers that actively study human behavior and place value on the importance of thoughts, views, and words; is this a problem? What are your thoughts on how society can continue to grow in our shrinking world? The king of amateur cook-offs, Matt Timms, is bringing his gig to the Twin Cities. Following recent bacon showdowns in Brooklyn, Houston, and SXSW, Bacon Takedown Twin Cities will take place in O'Gara's in St. Paul on July 18 at 4pm. 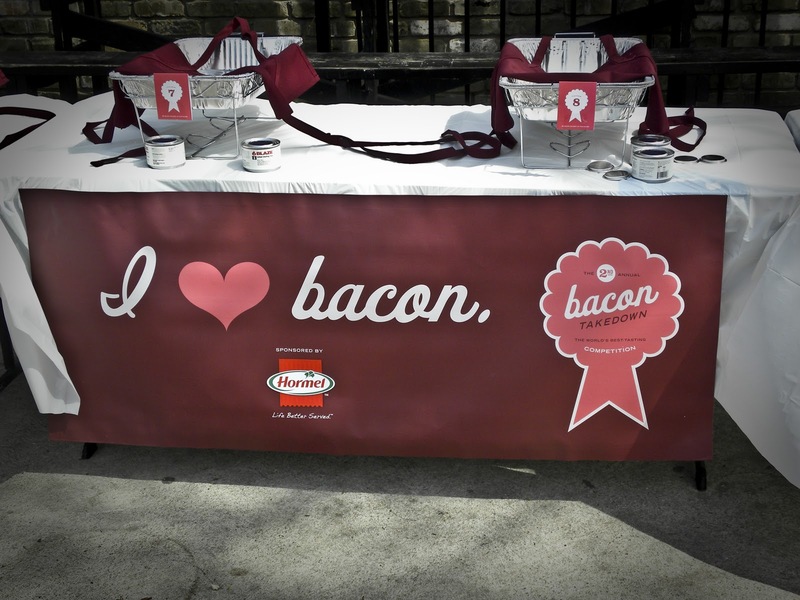 Timms is looking to pit 20 local cooks and their best bacon recipes against one another. 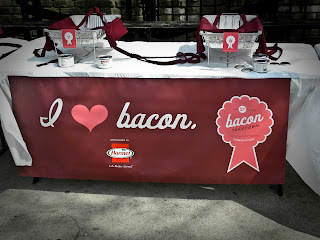 Each contestant gets 15 pounds of Hormel Black Label Bacon to work their magic with and then brings the completed dish to the event for judging. At the event, observers can sample the results, which means a feast including everything from bacon bloody Mary's to bacon ice cream to Molten Bacon Explosions, and more! Over $1500 in prizes from Anolon, Wusthof and Microplane. $15 to come on down and try all the Hormel Bacon magic. A portion of the proceeds goes to Feeding America. Kip Lindman has been promoted to senior associate at Carmichael Lynch Spong. Lindman joined the firm in 2008 as an associate. In his new role, Lindman is responsible for handling day-to-day activities and providing excellence in execution for clients American Standard Heating & Air Conditioning, Jack Link’s and Rapala. Prior to joining Carmichael Lynch Spong, Lindman was an account representative for Tunheim Partners, a communications firm in Bloomington, Minn. 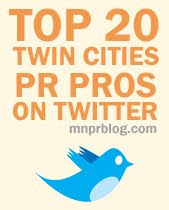 He also worked as an associate counselor for New School Communications, a St. Paul-based PR agency. Outside of work, Lindman is an active participant in the Public Relations Society of America (PRSA) serving on the sponsorship committee. Lindman earned his bachelor of science degree in mass communications at Saint Cloud State University in St. Cloud, Minn.
Allie Fendrick has joined Beehive PR as social media coordinator, expanding the agency’s digital and social media group. Fendrick joined Beehive PR as an intern in January, with an emphasis on social and digital media. She has a depth of experience employing online social media monitoring tools, analyzing clients’ social media presence and conducting blogger engagement and outreach. Previously, Fendrick was a writing intern for Minnesota Business. She has also interned and worked with Clear Channel Corporation, 50 Entertainment and Bookie and Belle, LLC. Fendrick graduated from the University of Minnesota – Twin Cities. She has a bachelor’s degree in public relations, with minors in cultural studies and comparative literature and in cinema and media culture. Weber Shandwick announced yesterday the addition of two new employees in the digital communications practice. Aaron Miller joined the firm as digital strategy director, working on accounts in the consumer marketing industry. Prior to joining Weber Shandwick, Miller was a marketing manager at Target Corp. A Michigan native, Miller earned his bachelor's degree in social relations from Michigan State University, and is completing a master’s degree in strategic communications from the University of Minnesota. Kathleen Stutzman joined the digital communications practice as a senior project manager and will focus on accounts in the government and corporate affairs sectors. Stutzman previously worked as an account manager at Modern Climate in Minneapolis. A native of St. Louis Park, Stutzman earned her bachelor's degree in marketing and Spanish from the University of Wisconsin-LaCrosse. Combining communication strategy and brand tactics into a comprehensive approach has been the preverbal Holy Grail for marketing departments of all kinds. So, what do you need to do to create a platform that unifies the marketing processes together into a well-oiled machine? Join us as we bring together four talented and seasoned professionals who will share their marketing alchemy on how they bring together media elements to create a successful integrated campaign. Learn how to not only understand social media as a whole, but also how to effectively harness its power to better manage the integrity of a brand. More important, our panelists will help you gain a better understanding of how best to incorporate the many elements of a communication plan, so you can define and measure success. The information they will discuss is geared to marketing professionals of all ranks. If your role is in planning, budgeting, facilitating, communicating, designing, or branding, you'll want to attend and ask questions. Did you register for the Alphabet Bash yet? I have! One of the best networking events of the year is just around the corner. Be sure to sign up now! …for the 5th Annual Alphabet Bash. Alphabet Bash is a “can’t miss” networking event celebrating Minnesota marketing and communications professionals. You’ll see old friends and meet new acquaintances as you explore business development opportunities within a fun and festive atmosphere. Follow Alphabet Bash on Twitter or on Facebook. Risdall Online Marketing Group (RMG) announced that Blake Bensman has joined the agency as account executive. In this role, Bensman will serve as agency liaison to a diverse roster of client accounts. 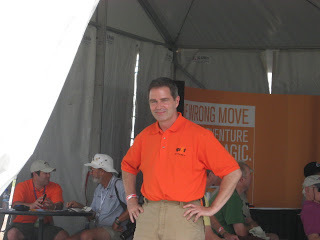 Bensman has worked for ZizzoGroup Advertising and PR and OnMilwaukee.com in Milwaukee as well as Museu d’Histroia de la Ciutat in Barcelona, Spain. He has a bachelor’s degree in professional strategic communication from the University of Minnesota and studied at the Universitat Pompeu Fabra in Barcelona. 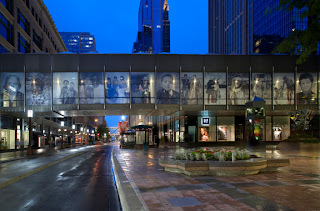 Speaking of Home-St. Paul is a major public artwork and environmental design project for the St. Paul skyway system, the first large-scale temporary skyway public art project in the city’s history. Situated in the heart of the city, Speaking of Home will transform four St. Paul skyway bridges from utilitarian walkways to a grand-format public artwork, celebrating Twin Cities’ diversity and the importance of an affordable home for everyone. Inspired by the more than 120 languages spoken by children in the Twin Cities school system, the monumental project creates for St. Paul a sense and place of identity at the city’s nerve center. 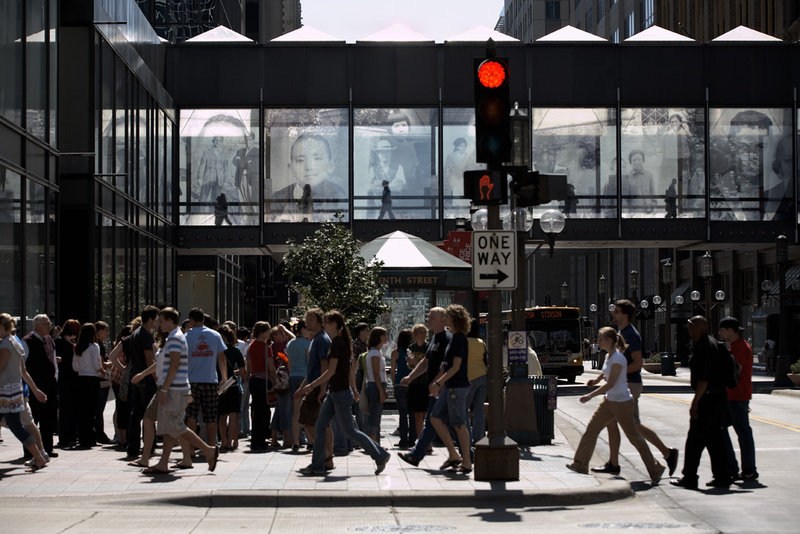 When completed, the project will form a “town square” connecting the streets surrounding the intersection of 6th and Minnesota. Speaking of Home, St. Paul is being developed in partnership with the City of St. Paul, Forecast Public Art; Family Housing Fund; CommonBond Communities, the University of Minnesota’s Institute for Advanced Study and Larsen Design. The projected exhibition schedule is April to December 2011. Fifty-six Twin Cities’ residents will be invited to collaborate and share their family photographs from their country of origin and stories of coming to Minnesota. Fifty-six larger-than-life portrait photographs of Twin Cities’ residents—each approximately 10 by 12 feet—will be printed on sheer fabric and installed seamlessly in the window frames of four skyways. Each portrait will be accompanied by signage with the word for “home” in that person’s native language, accompanied by excerpts from interviews. The installation also features biographical and didactic panels explaining the project. It will include a website, and project brochures distributed to audiences. Creating visibility for the Family Housing Fund and CommonBond Communities’ work while increasing public awareness how affordable housing strengthens our community. Speaking of Home-St. Paul is based on a successful one-bridge 2008 Minneapolis pilot project which won Americans for the Arts’ 2009 Best National Public Art Project, a 2009 International Merit Award of the Society for Environmental Graphic Design and the IFAI’s International Award of Excellence for use of fabric in design. Speaking of Home, St. Paul is initiated by a public art and environmental design collaborative, Public Interest Inc. led by photographer and environmental designer and 2010 Bush Foundation Fellow Nancy Ann Coyne in cooperation with Larsen Design. Funders/In-Kind Supporters to date include: the City of St. Paul Cultural Star Grant, the Minnesota State Arts Board, Bush Foundation, McKnight Foundation, General Mills, the Jay and Rose Phillips Family Foundation, Metropolitan Regional Arts Council, Compas, Elmer L. & Eleanor H. Andersen Family Foundation, Portland Color, Larsen Design, CityLitesUSA-Skyway Advertising, Brad Palm LLC, Archetype Signmakers, Albinson’s Reprographics, and Borman & Schulkers Law Firm. Additional funders are pending including 3M and Wells-Fargo Bank. Risdall Marketing Group (RMG) recently promoted Ashley Bruce to strategist in its Strategic Consultation division. Highlights of Bruce’s client work at RMG have included serving as: leader of Donatelle strategy development; co-developer of Affinity Plus Federal Credit Union strategy; and work on a naming project with the Brave New Workshop. Skyya Communications is an award winning, full-service strategic marketing communications and public relations agency with deep experience serving the communications needs of emerging and well-established technology companies across the U.S. and around the globe. With headquarters in Minneapolis and a significant presence in New York City, Skyya has continued to experience impressive year-over-year agency growth – primarily through referrals and word-of-mouth advertising – in spite of a weak economy. Skyya’s “in-house agency” model leverages the advantages of an in-house employee approach with the benefits of using an outside agency, and minimizes the disadvantages of both. With affordable rates, a highly talented staff of tech-savvy marketing veterans and a passion for success, Skyya’s value proposition appeals to technology-centric startups and Fortune 500 companies alike. Skyya’s breadth of industry experience spans B2B and B2C, offering our clients access to highly skilled talent across an array of disciplines, including PR and strategic communications, product management, strategic planning, social media and online marketing, channel development, and more. The agency’s team delivers time-tested expertise in telecommunications, consumer products, mobile, new media, GPS, healthcare, green tech, and IT/software. Skyya is truly a one-stop shop, providing clients a proven track record of success and assistance in areas as diverse as raising capital, new product development strategy, and implementing powerful new sales models. Skyya has been honored with a host of industry accolades for both internal and client-facing work, including the MarCom Gold Award for the agency’s website and collateral system, and was recently recognized with both a Hermes award and a Bulldog Reporter award in the consumer product launch category. In addition to the SPOT Satellite Messenger and its parent company Globalstar, Skyya Communications’ current client roster includes iCentera, PAETEC, WorldGate, Speaklike, SIPPrint, ET Water Systems, Bluelounge, Magneat, and Mad Mobile. To learn more about Skyya Communications or our clients, visit online at http://skyya.com or follow us on Twitter at http://twitter.com/SkyyaPR. Happy 4th of July. I hope you have a wonderful and safe weekend. Today I am thankful for the freedom we enjoy. Risdall Marketing Group (RMG) energetically entered the summer, with the firm adding 11 new or expanded accounts in June. So far in 2010 the firm has added 55 new or expanded accounts. In 2009, RMG added 106 new or expanded accounts. The Twin Cities Chapter of the American Red Cross is looking for volunteers for its Public Affairs On-Call Team. Volunteers serve as spokespersons to provide information about Red Cross disaster relief activities to the Twin Cities media. For the second year, an online video contest called the "Fringey Awards" gives the public a sneak preview of various Minnesota Fringe Festival artists’ performances and enables those who visit www.fringeyawards.com to vote for their favorite three videos until August 4th. The contest, sponsored by VISI, Minnesota’s premier cloud computing, data center, and managed hosting provider, invites all performers from the Minnesota Fringe Festival 2010 to submit 60-second videos that best capture the essence of their different productions and that encourage attendance to the August 5 – August 15 performances. The Fringey Awards video submissions can be excerpts from actual Fringe Festival performances or simply teasers. The trailers will be funny, dramatic, shocking and whimsical. They’ll be scripted, improvised or even stream-of-conscious. Many will feature live actors, original animation and music, and maybe even puppets. "Fringey Awards offers Fringe artists a new, viral way to promote their performances through online video," said Gary Elfert, Director of Products and Marketing for VISI. "All Fringey video submissions will live on www.fringeyawards.com and YouTube, so contestants can send video links to their networks by email, Facebook, Twitter and other digital channels. VISI is bringing the power of technology and social media networking to the Minnesota Fringe Festival for the second year in a row." The general public will be able to vote for their favorite videos from July 1st-August 4th. The top three videos with the most votes will each receive one year's worth of free Web site hosting ($240 retail value) from VISI. The grand prizewinner will receive $500 in cash along with a year of Web hosting service ($240 retail value) from VISI. More information about the Fringey Awards can be found at www.fringeyawards.com, on Facebook and through Twitter.